Revised Scope: Protecting our open spaces, waterscapes and wildlife have been identified as priority areas. This group should propose policies that support these objectives, taking into account the local sites of special scientific interest and protection areas. Where appropriate, this group should also develop policy ideas that encourage biodiversity when new developments are proposed, that protect and enhance highly valued views and wildlife corridors by the continuous informed and sympathetic management of the natural environment. Aim of this group: to develop policies/objectives that directly support the scope and in parallel, develop aspirations that will be fed back to Yateley Town Council, and Hart Council. Developing Policies: in the first instance this can be done by reviewing NHP’s of similar areas and drawing out policies that reflect our scope and look at how they have articulated wildlife and conservation policies in their plans. We also have to consider how what we propose fits with the new draft Hart Local Plan (not approved by SoS yet, but soon hopefully) and the new National Planning Policy Framework. Keep in mind that we have Common Land to consider which is quite unusual, although it is already heavily protected. We can then begin to explore these and work out how they would work for YDGF_NHP and consider what evidence we would need to collect to support it. How can we collect this evidence? Is it something we can do as members of the public or will need specialist advice be required? (evidence might include surveys, meetings, leaflet drops…what else? The Bioblitz is an eg but v specific to areas that already have protection – could do similar for The Green for eg to show how biodiverse, or not, it is ). Proposed policies/aspirations have to be evidence based, and there needs to be support in the community for what we propose. Dissect the scope, talk to experts, and find evidence to support, and canvas opinion. Coming back to steering group in Feb with draft policies. See the end of this document for ideas on possible questionnaire questions. E.g. number visitors to Wyndhams pond every weekend gives you some community value. Hartley wintney took this approach in their NHP with their ‘views’ (what you can see) and counted people visiting to prove its importance to the community. The number of visitors can be driven by needs such as dog walkers – we need to be positive about the protection of the natural environment – eg Bioblitz. Pollinators importance. 4.2 SANG’s (Suitable Alternative Natural Green Space)– ensuring SANGS, where they are proposed, will have to meet certain criteria. Need to look at legal definition of SANG to see what it is. Divide and conquer – minimise vehicle movements Vs disturbing natural environment (see what’s going on at the Urnfield Site, Yateley Moulsham lane: 3-4m bunds of spoil at the back of gardens hoped for by developerin order to minimise vehicle movements. In fact, Hart Council are requiring separate planning permission to agree the landscaping for this land. How much can they artificially alter the landscape and the flood plain. SANG – Natural green space…not v natural if foot deep in soil. Actually destroying the natural environment.). Where does the SANG money go? SANGs money is targeted – Bernard commented that Wellesley land in Aldershot is owned by LANDTRUST who employ BV partnership. NPPf and legislation and policy about SANGS – we need to do a bit of research about this – some of CIL (community infra levy) can be kept by council if you have a NHP. Can you influence where it is spent? We need to find out if this would be something we could influence. Should this include Rights of Way? Or does this come under the ‘Getting Around@ group? Speak to the Countryside Rangers, Hart Biodiversity Officer…) Mike Grey mentioned land near Cricket Hill owned by David Fuller that is currently in trust. Many horse fields could do with being taken over to create an area for wildlife -how practical is this? 4.4 Water courses – key for our area. Similar to above but for streams, rivers, ponds, meadows ( shortage of wet meadows stats on their decline and flora and fauna they support and why we need them.) – look at maps to identify areas to join up and identify areas to link and protect. Defra magic map site, plus Environment Agency website may provide key info. These all need identifying. Bernard seemed very knowledgeable – is this something he would be happy to undertake for us? 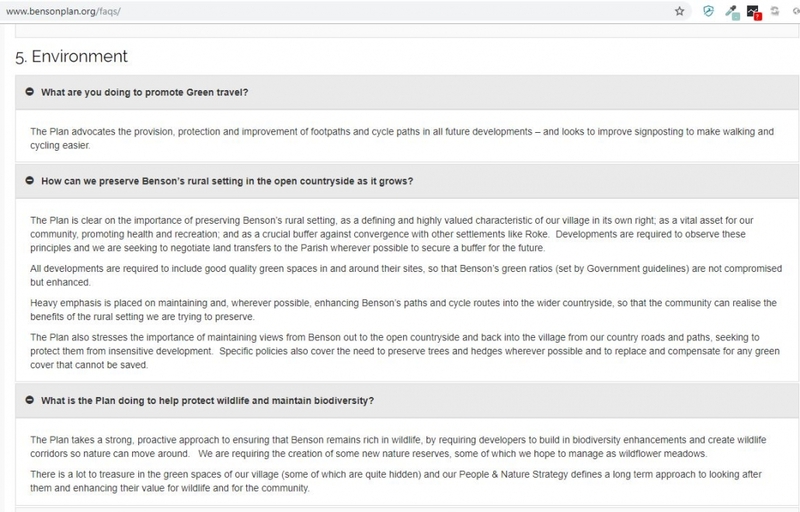 4.5 Management of Green spaces policy – Protecting and enhancing biodiversity from the lowest level (insects) upwards – looking at linking up ecosystems and providing and enhancing wildlife corridors. Provision of swift, bat boxes, hedgehog gates, native planning in all open spaces, badger runs, look at town council policy on mowing and verge management, edges of fields as wildlife havens, cut and collect mowing/grass cutting policy, community orchards etc. [Sean Devreaux new development going to be v wildlife friendly]. 4.6 Requirements/expectations for any new housing – all of the above + solar panels, wind turbine, sustainable construction and drainage, climate change friendly planting, sustainable transport links enc walking/cycling. There’s info on the HIWWT website on this. 4.7 Environmental education (aspiration? )– getting the public on board. Maybe some small projects to get public involved with. Mammal trapping etc. (The Lost Words). (£6K roughly – NaturaL Surrey Heath joint project with BVCT and Camberley society). This can go in our aspiration documents; maybe a talk to the council about the importance. Appendix K – Green Infrastructure & Biodiversity Audit – this is probably something we need to consider having done.